There's also a social component within Apple Music, allowing fans to connect with artists. Dubbed "Connect," it allows artists to upload whatever they please to share with fans. 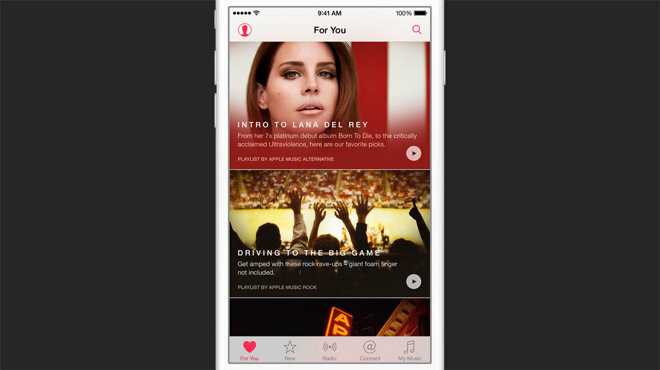 The new iOS Music app has a tab dubbed "For You," suggesting content to users based on the music they listen to. These are recommendations made by real people at Apple who love music. There's also a "New" tab that shows new albums and artists, as well as top charts. Again, content is human curated by genre or activity. Taking the stage at Monday's event was rapper Drake, who said the Connect feature hits at a perfect time for him as he works on his next album. 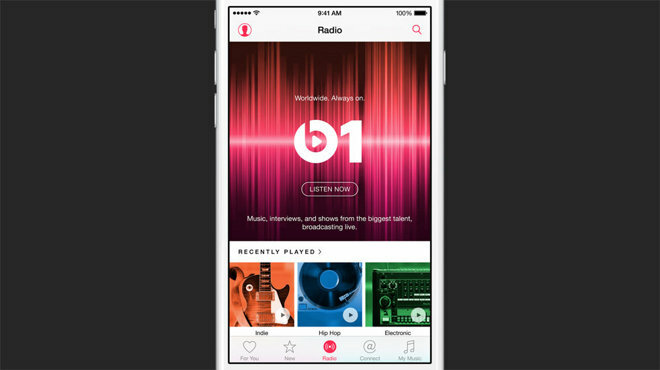 When using the Apple Music app, content is displayed in two panes: An "All" tab, where the artist's entire library on iTunes is available, and "My Music," where locally stored and owned content is displayed. Users can also make and share their own curated playlists, while others can be viewed in the "For You" tab. There, Apple employees, artists, and regular users can have their playlists spotlighted. iTunes chief Eddy Cue also showed how Siri integration can allow users to make specific requests, like to play "that song from 'Selma,'" or to play the top song from a specific date. 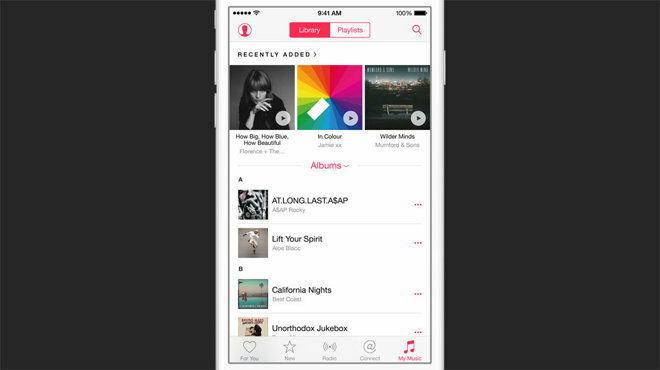 Apple Music will launch with iOS 8.4 and a new version of iTunes for Mac on June 30. The streaming service will also come to Android this fall, as well as a new version of iTunes for Windows. For single users, Apple Music will cost $9.99 per month, while up to six family members can share an account for $14.99 per month. Apple will also be offering the service with a free three-month trial to start.